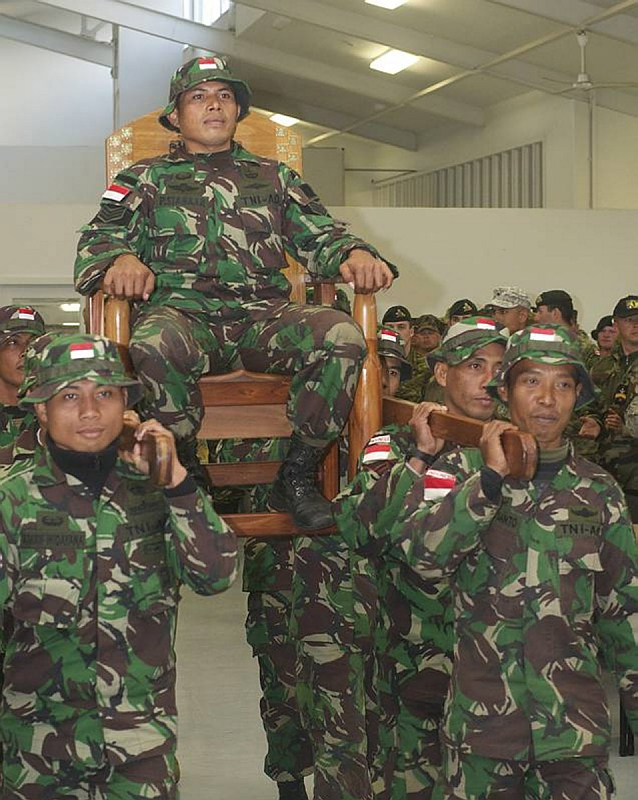 Indonesia series post #4: Need to know about Indonesia’s military (TNI)? Friend and online colleague Evan Laksmana has compiled an excellent reading list of books on the Indonesian military (TNI), and I encourage those interested in Australia’s relations with Indonesia to check it out. Understanding the military’s role in Indonesia is necessary in understanding the opportunities and limitations of closer cooperation with Australia. Evan Laksmana, ‘Stirring from Beyond the Borders? American Military Assistance and Defense Reform in Indonesia’, Asia Centre, Paris, July 2011, available here. Leonard C. Sebastian and Iisgindarsah, ‘Assessing 12-year Military Reform in Indonesia: Major Strategic Gaps for the Next Stage of Reform’, RSIS Working Paper, April 2011, PDF here. 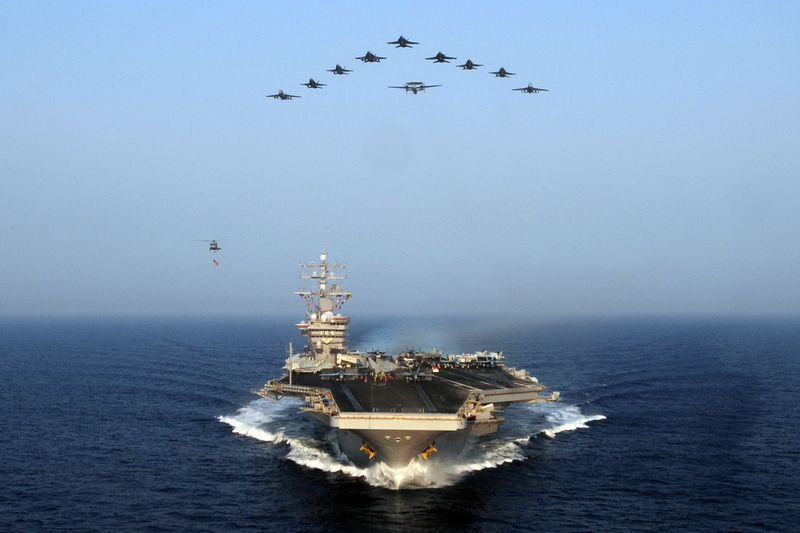 Bruce Vaughn, ‘Indonesia: Domestic Politics, Strategic Dynamics, and U.S. Interests’, Congressional Research Service, January 2011, PDF here. Human Rights Watch, ‘Unkept Promise: Failure to End Military Business Activity in Indonesia’, 2010, available here. Marcus Mietzner, ‘The Politics of Military Reform in Post-Suharto Indonesia: Elite Conflict, Nationalism, and Institutional Resistance’, East-West Center Washington, 2006, PDF here. Alternatively, Samantha Michaels and Ulma Haryanto produced this three part series on the state of TNI’s business practices, published in the Jakarta Globe in May this year. 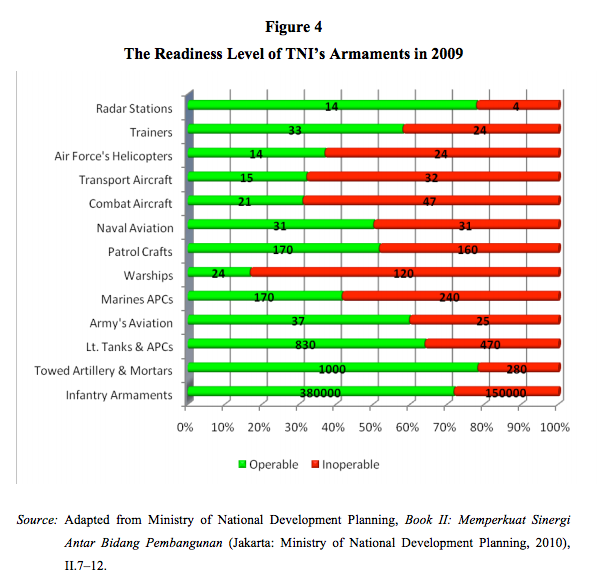 Of note is Sebastian and Iisgindarsah’s report for its graphs and diagrams that show Indonesia’s defence spending, annual peacekeeper contributions, country origin of TNI armaments (the US ranks 1st, Australia 9th), and comparisons with other Southast Asian nations’ defence spending. If I’ve missed anything, feel free to send me suggestions. Happy reading! Image source: Sebastian and Iisgindarsah, 2011. In yesterday’s post (part I), I touched on how the goals of drawing closer to Indonesia and developing counter terrorism capabilities were met by encouraging joint exercises between SASR and Kopassus, starting in 2003. In this post, I explore the trickle down effects this relationship has had on Asian Pacific partners, their respective foreign policies, and regional security. Unfortunately, the Indonesian President’s speech at the State Dinner in his honour last night was cut short as the ABC News 24 lacked Indonesian translators. In absence of that speech, here are some recent yet important speeches that provide some insight into his sentiments about Australia and about Indonesia’s place in the Asian Century. Speech delivered to the Australian Parliament, Canberra, 10 March 2010, available here. Shorter SBY: Australia and Indonesia have a strong relationship as friends, neighbours and strategic partners. Both countries should work together as equal stakeholders in a common future, overcome stereotypes and tap into potential of the relationship. 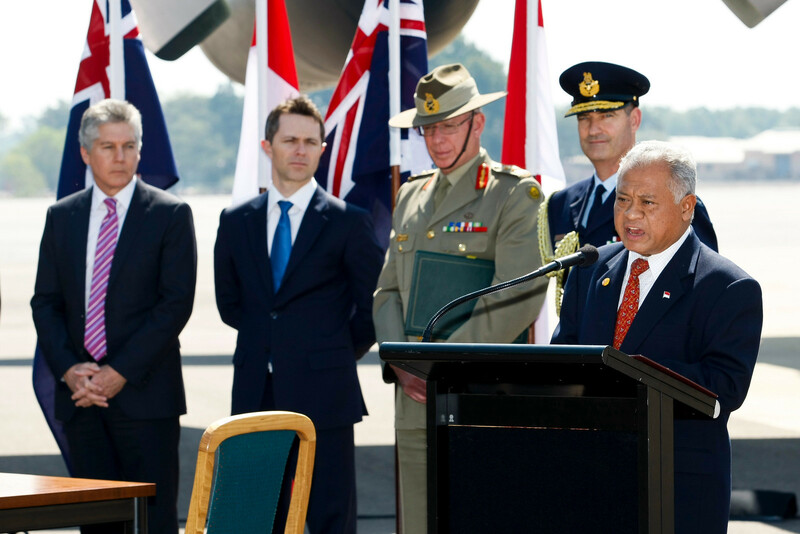 Memorable moments: SBY paying respects to Australians who died during humanitarian operations in Indonesia, praising early Australian support for Indonesian independence, and using the words “fair dinkum”. Keynote Address to IISS Asia Security Summit, Shangri-La Dialogue, Singapore, 1 June 2012, available here. Shorter SBY: Asia Pacific requires more durable security architecture achieved by “dynamic regionalism” and a sense of Asian Pacific community. Middle and small states should work to ensure relations between major powers are stable and peaceful. Indonesia’s increased defence spending to be used for increasing capacity to protect borders, to counter transnational threats, to increase its contribution to peace-keeping operations worldwide, to be better prepared for military operations other than war, and to conduct special operations. Memorable moments: SBY using the words “win-win strategic culture”, citing the successful rescue of Indonesian hostages from Somali pirates by the navy and special forces, and being super optimistic. Shorter SBY: Strong and sustainable peace in the region is achievable. 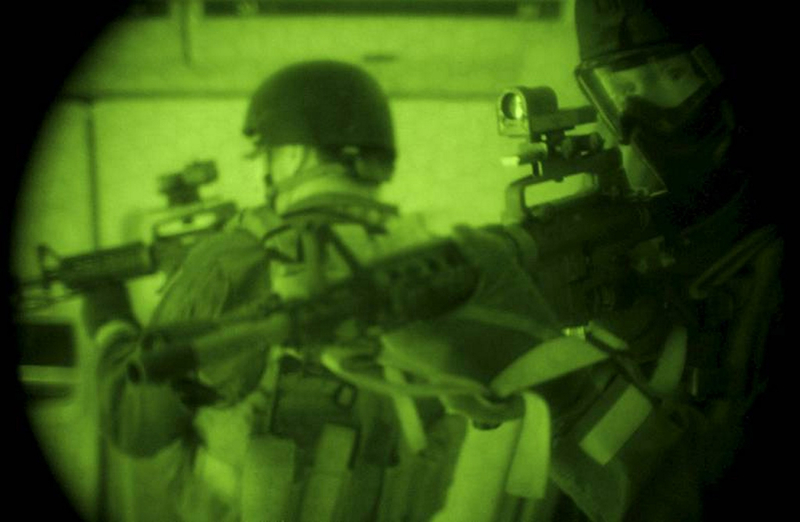 Transparency in increasing military capability and confidence building measures are essential in preventing mistrust between states. Indonesia will continue to build comprehensive partnerships and conduct constructive diplomacy in the region. Memorable moments: SBY losing his cool and berating students in the front row for falling asleep. Overall, these speeches represent a determination on behalf of SBY to engage with the region and really promote Indonesia’s burgeoning presence in regional and international terms.